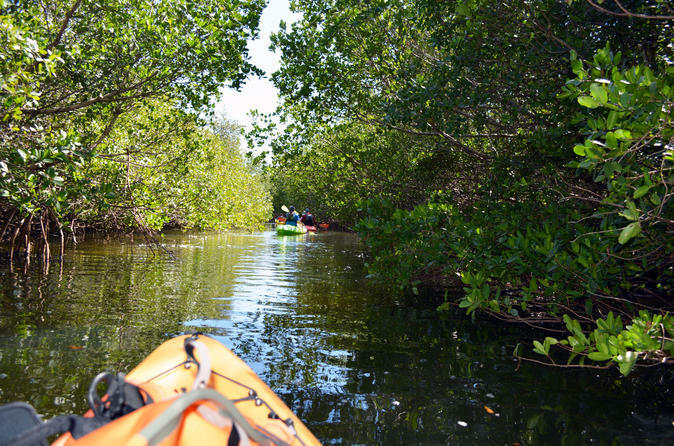 Go kayaking through a mangrove forest on Florida's Gulf Coast during this Florida Aquarium–affiliated tour from Apollo Beach, just south of Tampa. Following a guide, you'll paddle through the waters of the Newman Branch restoration area near the Manatee Viewing Center, watching for wildlife such as stingrays, birds, and maybe even manatees. Lunch is included.